2016 feels a lot like 1543. In an age and a discipline far removed from medieval astronomy, history is repeating. At present, corporate governance has no broadly held theoretical base (Tricker, 2009) Rather, it is overwhelmed by multiple and polarizing theories (Letza and Sun, 2002) and whilst a number of broad or even global theories have been proposed (e.g.Hilb, 2006; Hillman and Dalzeil 2003; Nicholson and Kiel, 2004) to date none have gained universal acceptance. More importantly, agency theory, widely recognized as the dominant theoretical perspective of corporate governance (Durisin and Puzone, 2009) continues to suffer from empirical research unable to validate its claims or accurately predict outcomes (Daily, Dalton and Cannella, 2003). The only thing academics can predict with any certainty is that the solution to one governance problem will become the next. In 1976 the biggest problem facing capitalism was aligning the interest of managers and shareholders. Solved when Jensen and Meckling came up with the idea of paying managers in securities. But this led to exorbitant executive remuneration, financial engineering and artificial ratio manipulation. Solved by ensuring that there are more independent directors. Which in turn has lead to Boards lacking sufficient industry knowledge and experience to provide sufficient directorship and assurance which in part led to the global financial crisis. Solved by greater oversight. Which in turn has produced greater levels of distrust between boards and managers. Corporate governance has become a "Copernican Monster"
Copernicus thought that an honest appraisal of contemporary astronomy showed the earth centered approach to the problem of the planets was hopeless. Traditional techniques had and would never solve the problem; instead they produced a monster (Kuhn, 1957). It takes little imagination, to see a Copernican Monster lurking within corporate governance codes and guidelines than share no common theoretical foundation other than to force the shareholder into the centre of the corporate universe. Ironically, Copernicus' contemporaries papered over the flaws in their theory with things called epicycles. Patches (that look a lot like piecemeal governance reforms) that worked for a time but were fundamentally flawed. More independent directors, more committees, more rules will not solve the problems of corporate existence whilst academics, regulators and even directors labor under the impression that corporations exist to maximize the wealth of shareholders. These will become the next problem. Epicycle on Epicycle. Reform on Reform until, as we saw in 2008, the system almost collapses. The solution to the mess is to follow the astronomer's lead. Substitute the corporation for the shareholder at the centre of the corporate universe encircled by stakeholders. Each held in an elliptical orbit by the ever changing gravitational pull of both the corporation and the stakeholders self interest rightly understood. It's not hard to observe this principle in practice. Watch a healthy company and you may notice that interests (defined as all the capitals - human, intellectual, financial, natural, produced and social) are prioritized in a way that contributes to the strength, resilience and ultimate longevity of the corporation as a sovereign legal entity. Financial and non financial capital constantly being traded for all things that are needed to sustain a company into perpetuity. And, as promised by Adam Smith, the interests of stakeholders are obliquely met in proportion to their contribution to the corporation's self interest. But why has it taken so long to notice? Another ancient astronomer may have the answer. Johannes Kepler, who went on to perfect the laws of planetary motion, understood his discipline's blind spot. 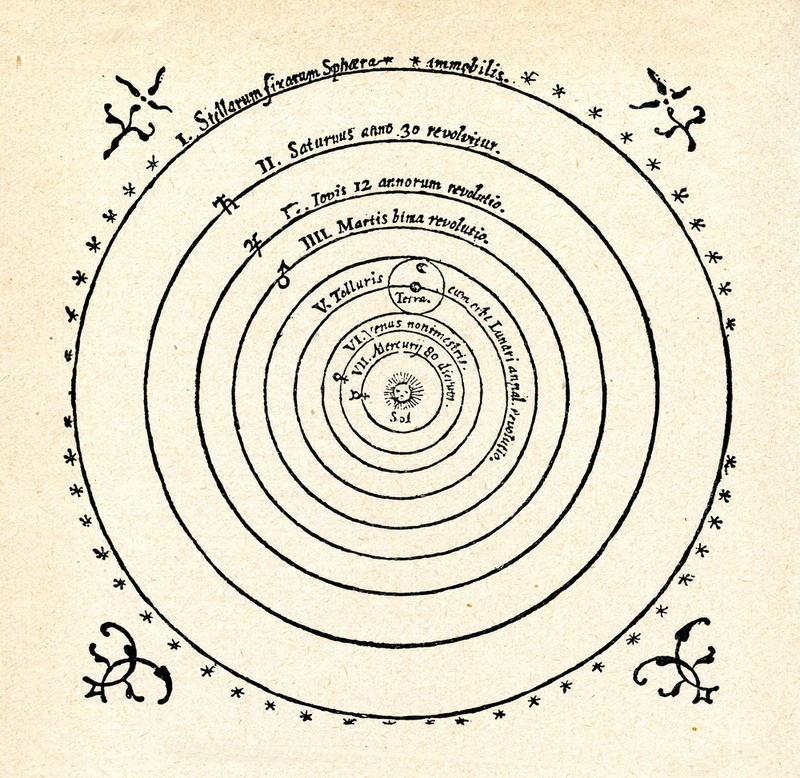 When questioning why Copernicus had not seen that the planets moved in ellipses he responded “Copernicus did not know how rich he was, and tried more to interpret Ptolemy than nature”. Likewise, to understand the nature of the firm, it is far more productive to study what real corporations do and not what economists or law professors say.